The main aim of the growth investing strategy is to identify companies with good growth potential. There are several factors that the growth investor would refer to regularly: Historical Earnings Growth, Earnings Per Share, Projected Earnings Growth, Return on Equity. Growth investors are not concerned about the current price point of a stock but rather are interested in its potential growth over the next 5 to 10 years. They would tend to carry out fundamental analysis and research into the background of the growth stocks before deciding to invest. A good example of a growth stock is Amazon (AMZN). Earnings are negative and historically it has been running on losses. Yet investors have piled into the stock with the expectation that the world’s largest online retailer will grow bigger. Stocks that fall into this category often belong to the technology or healthcare industry. When the company makes a breakthrough, the share price will increase significantly. Growth investing strategy can bring about very good returns if an investor is able to pick the right companies. Growth investing requires the use of projected earnings growth figures which may require the investor to extrapolate figures from the current situation of the company. This requires the growth investor to be knowledgeable about many details of the company and requires years of experience before one can come up with a ‘projected earnings growth’. Plus, it can be high inaccurate with a wide range of projections even from professional analysts. The time horizon for a growth stock to reach its potential may be too long for some investors. The main aim of the dividend investing strategy is to identify stocks with regular high dividend pay-out which gives the dividend investor a source of income. Real Estate Investment Trusts (REITS) often feature prominently in a dividend investor’s portfolio. Dividend investors get regular cash flow from stock investment. Dividend stocks tend to be more expensive, especially for companies that are known to give stable dividend pay-outs that are increased frequently. Because earnings are distributed and not retained, the capacity for growth is somewhat muted. Hence prices of dividend stocks tend to be more stagnant and provide little capital gain over the long run. It is important for the dividend investor to be clear of his investment goals when purchasing a stock. Dividend stock investors will need to check the health of the dividend stocks regularly. Changes in the economy, business or cash flow can affect the dividend pay-out from these stocks. 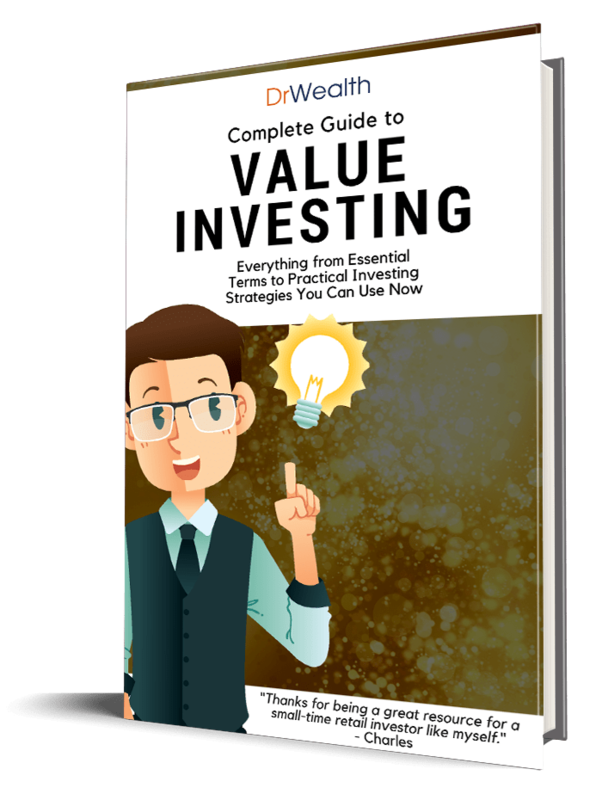 The main aim of the value investing strategy is to identify stocks with a high intrinsic value which has not yet been reflected in the pricing of the stock in the market. These stocks are known to be ‘undervalued’. These stocks tend to have good fundamentals and stable performance. Unfortunately they tend to be in unexciting industries which investors overlook and end up overshadowed by stocks that grow quickly or give high dividends. These stocks tend to be under-priced by the market. Value investors believe that the true value of these stocks will have a chance to be reflected in the market in the future. These are gems waiting to be discovered. Fu Yu is a good example of such a stock. Value investors do not have to time the market as they tend to look for stocks that are already undervalued at the point of investment. There is no need for value investors to frequently monitor the price movement of a stock. Value investing may not be suitable for investors who want to see results fast. The time required for the stock to show its full potential may be too long for some investors. Typically, a lot of research have to be done in order to sieve out the stocks which are truly undervalued from the rest of the stocks. Many investors who have tried and failed at value investing are unable to get the research process right. Thus leading to the purchase of junk stocks whose prices will never increase much. At BigFatPurse’s Value Investing Mastery Course, we pull back the curtain back on our research process and share how we identify truly undervalued stocks via our Conservative Net Asset Value (CNAV) strategy. Different strategies require different skill set and different temperament from the investor to succeed. It is important for an individual to adopt a strategy that is best suited to himself or herself. General Elections 2015 – Will Going to the Polls Cause the STI to Rise?